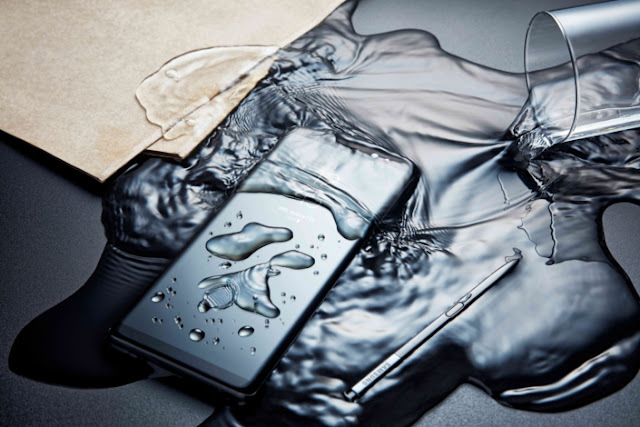 South Korean tech giant Samsung has unveiled their latest flagship, the Galaxy Note 8, at an Unpacked Event in New York. The device's success is very important for the South Korean tech company, especially after the debacle of Note 7 last year. Earlier this year, there were even rumors about Samsung considering to stop the Galaxy Note series. But, the tech giant has come forward and launched the Galaxy Note, boasting an enviable spec sheet, as has always been the case. The launch began with a Thank You message for its customers for sticking around with them. Similar to the previous two Note smartphones, the Galaxy Note 8 provides a few improvements over the latest phones in the S series, the S8 and S8+. Let's break down the specifications and have a detailed look at the Galaxy Note 8. The Galaxy Note 8 is built very similar to the Galaxy S8 and S8+. Glass panels to the front and back, curved outwards and meeting the outer frame to give it a seamless and symmetrical look. Both the glass are protected by Corning Gorilla Glass 5. It is IP68 certified, which means the device is water-proof and dust-proof. Measuring 162.5 x 74.8 x 8.6 mm, the Note 8 weighs 195 g.
The Super AMOLED display measure 6.3 inches diagonally, with a resolution of 2960 x 1440 (QHD+) resulting in a pixel density of about 521 ppi. 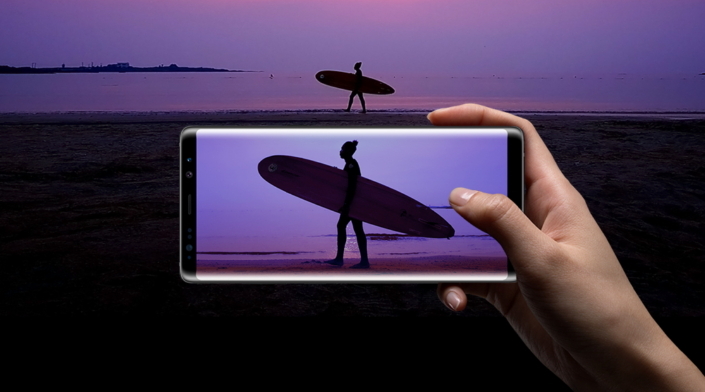 The aspect ratio is 18.5:9, and will be called Infinity Display, similar to the S8/S8+ released earlier this year. The Always-On display shows notifications and time all the time, even with the display turned off. The Off-Screen Memo is also supported, which we will discuss later in the article. Note 8 is the first Samsung phone with dual camera setup. Both the sensors are 12 MP, with the primary one having an aperture of f/1.7 while the secondary telephoto sensor has a narrower f/2.4 aperture, providing 2X optical and 10X digital zoom. All the bells and whistles associated with a flagship camera are present in the Note 8 as well. Optical Image Stabilization (OIS), dual-pixel auto focus, dual-tone LED flash - all of them are included. 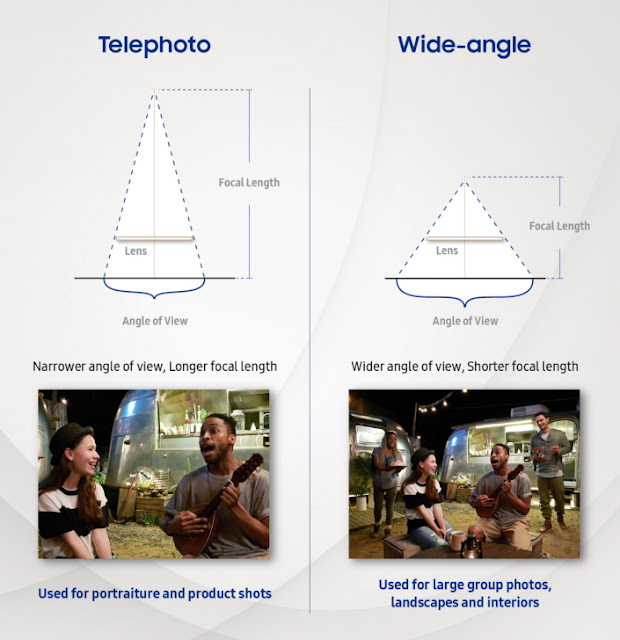 Even the telephoto lens has OIS, something that the company used to show that their dual camera setup is better than the one found on iPhone 7 Plus. The front shooter has an 8 MP sensor with f/1.7 aperture and auto-focus. Samsung has went with Qualcomm's Snapdragon 835 for US markets and their own Exynos 8895 for other countries. 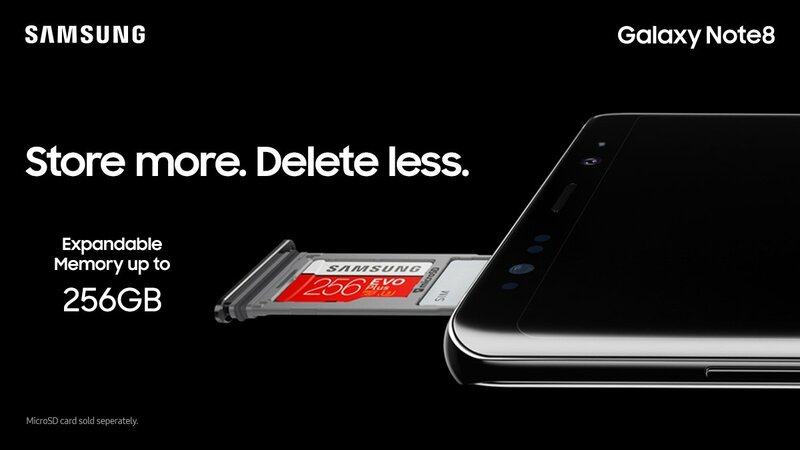 The storage options available are 64, 128 and 256 GB, expandable via microSD slot (hybrid slot in Dual SIM variants) up to another 256 GB, coupled with 6 GB of LPDDR4 RAM. Out of the box, the Note 8 will be running Android 7.1.1 Nougat and Samsung Experience UI, which has replaced the older Touchwiz UI for good. The device will be one of the first Samsung smartphones to get Android 8.0 Oreo. 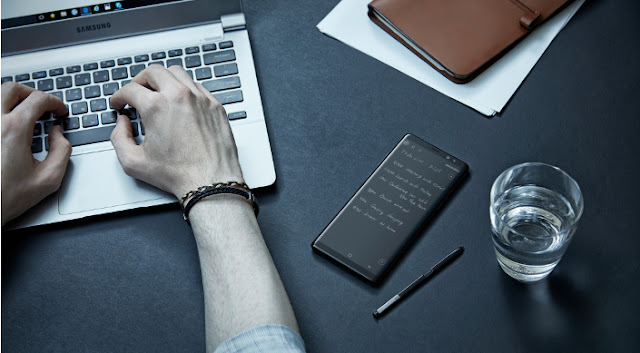 With each year, Samsung has managed to introduce slight improvements to the S-Pen, even though practically it doesn't have any real competition. The pressure levels have increased compared to Note 5. It can also be used to animate messages or drawings. The off-screen memo can be used to write up to 100 pages without even turning on the screen. 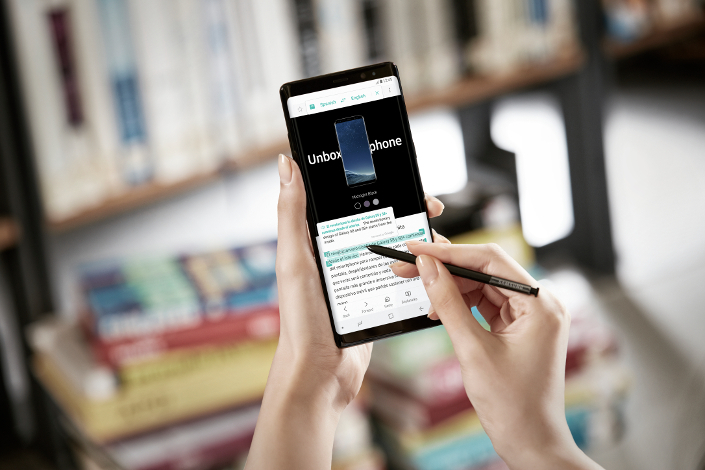 The S-Pen can translate entire sentences (71 languages supported) if you just hover over the text, and also converts measuring units as well as currencies. Samsung's attempt at creating a personal assistant is the Bixby, which debuted with the S8 and S8+. The voice feature was not released till recently, and the polished up assistant accompanies the Note 8. The new Bixby can perform multiple actions even when triggered with relatively simpler phrases like 'Good Night'. 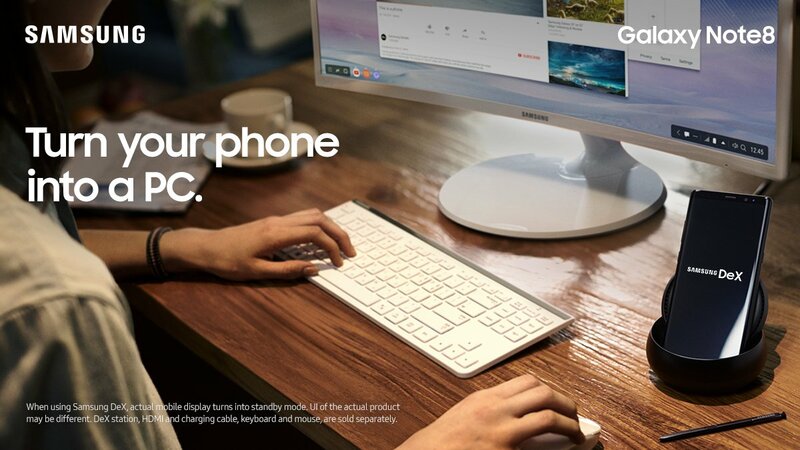 The Samsung Dex, which was first introduced with Galaxy S8/S8+, is improved this time. Offering seamless sync, the Dex offers a desktop experience with the Note 8, enhancing productivity features for its users. The smartphone is powered by a 3300 mAh battery with support for Quick Charge 2.0 and wireless charging (Qi/PMA). Premium earphones tuned by AKG will be available out of the box. The following features are also present. The Galaxy Note 8 will be available from September 15 in the US, priced at $930 (~Rs. 60,000) and the colors offered are Midnight Black, Orchid Gray, Maple Gold and Deepsea Blue. Europe pricing is supposedly set at £869/€1,000. Pricing and availability for other countries were not announced, we will be updating as soon as the information is revealed.